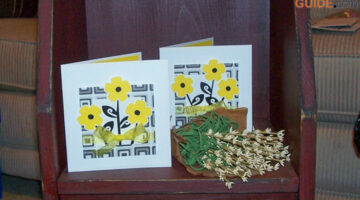 Handmade anniversary cards have special meaning when your friends & relatives receive them. I’ve made quite a few. 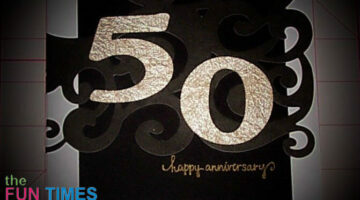 Here are the steps I use to make anniversary cards. 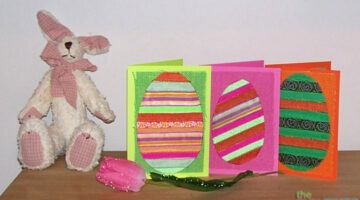 Handmade Summer Beach Card Made From Paper Scraps: A Simple Card That Can Be Used For ANY Occasion! 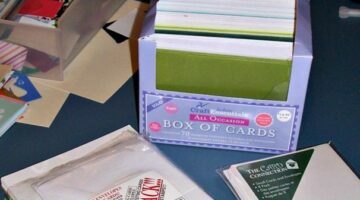 Got leftover paper scraps? Put them to good use by making this fun beach card. Tear paper into strips to create a unique ombre effect for your beach scene! Interactive Video Game Card: How To Make A Tetris Game Card… That You Can Play! 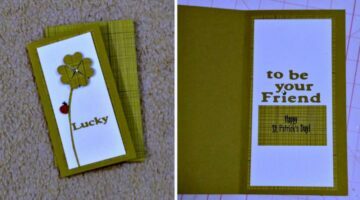 I made this Tetris game card as a thank you card for my friend. It was a hit! 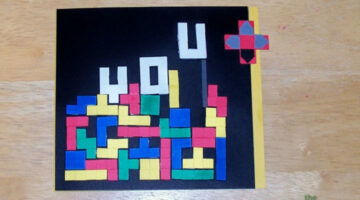 View the step-by-step instructions to make this interactive Tetris game card. 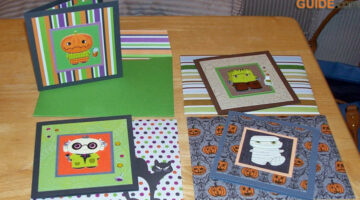 Kids birthday cards with googly eyes are always a big hit! 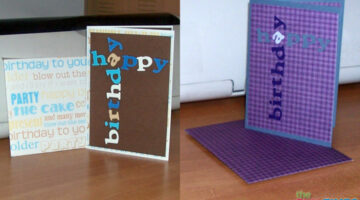 The added motion of the googly eyes makes it a fun 3D birthday card for kids that’s easy to make. 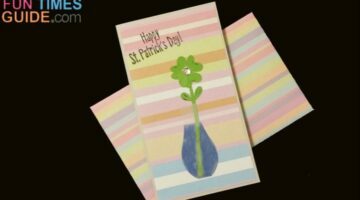 Here’s a simple idea for handmade shamrock cards that really POP! 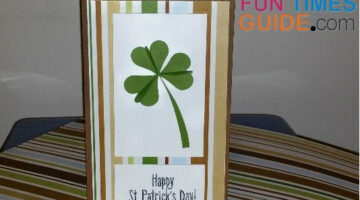 Adorable 3D clovers are the star of the show on these DIY St Patricks Day cards. Who wouldn’t enjoy receiving a minion card? 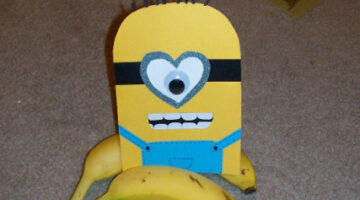 A simple tutorial to make minion Valentine cards. 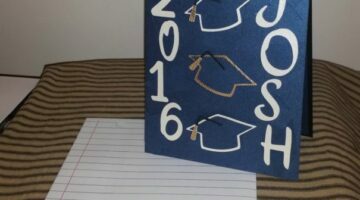 Can easily be adapted for any holiday or special occasion. 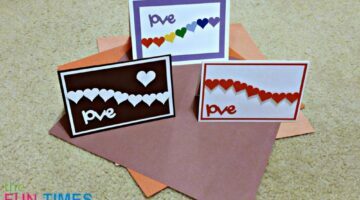 Wondering how to make Valentine Cards yourself this year? 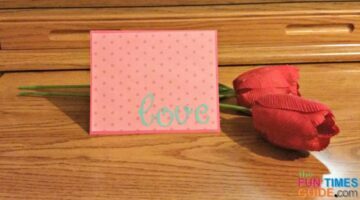 Here are 3 handmade Valentine cards that are super adorable and easy to make! 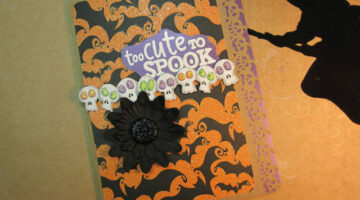 Fun Valentine Cards To Make… Like This Romantic Black Valentine’s Day Card! Normally, I wouldn’t use black for a Valentine’s card, but this shimmery black metallic paper has romance written all over it! 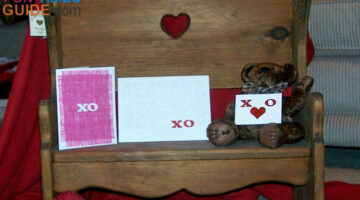 Lots of fun Valentine cards to make. 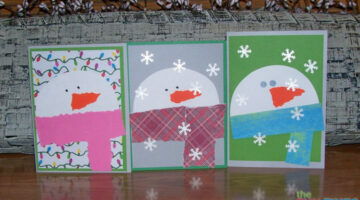 I got the idea for these snowman Christmas cards from Pinterest. 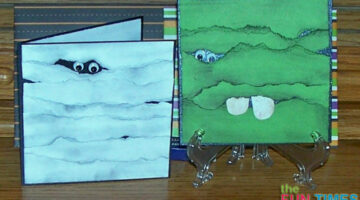 I did a few things differently to show you how to make snowman Christmas cards yourself.